Deidre Helberg is the President and CEO of Helberg Electrical Supply LLC DBA HES Energy Products. She has been self-employed for 21 years. She founded Helberg Electrical Supply (HES) a M/W/SDBE certified firm in 2003 and successfully embarked into the electrical supply industry. She has expanded HES from an electrical product supplier to selling products for the green energy sector through the DBA HES Energy Products. She believes in giving back and mentoring and providing room for diversity in the electrical industry. 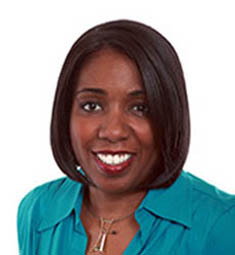 She is on the Advisory Board Strive International and member African American Chamber of Long Island. Deidre’s strengths are: superior networking skills, think-outside-of-the-box attitude and her sharp eyes for quality products and future market trends. She is always looking to work with manufacturers with innovative and advanced products. She understands the competitive advantage of strategic alliances and strong relationships.www.hesep.com.